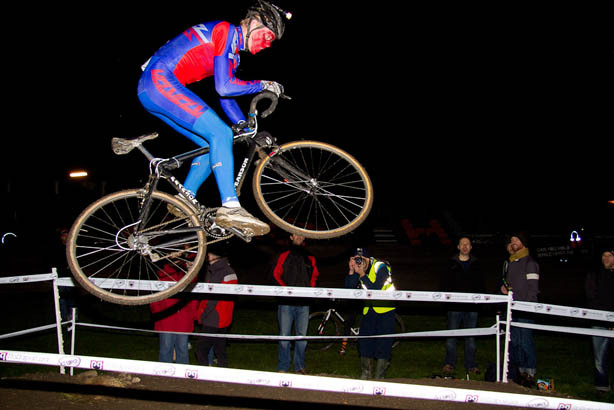 The Knog Muddy Hell night-time cyclo-cross race at Herne Hill is set to return on October 22, 2011. Running for the third time, the Knog Muddy Hell cyclo-cross is open to all categories – youth, junior, sernior and novice; men and women; vampires and ghosts. With its close promixity to Halloween, ghoulish fancy dress – or dressing up in anything else – is actively encouraged. The event is as much as spectating as taking part, with a set of hurdles set up in the event’s beer tent, and last year the event was a sell-out. Light and bike accessory brand Knog has lined-up a £1,000 prize list. Entry is not restricted to those with cyclo-cross bikes, as there are caetgories for mountain bikes, single speed and fixed too. Probably best not to ride the course on a Di2-equipped Specialized Venge, however. Entry for spectators is free and alongside the racing will be music, drinks and hot food. More details and an entry form can be found on the Knog Muddy Hell website.